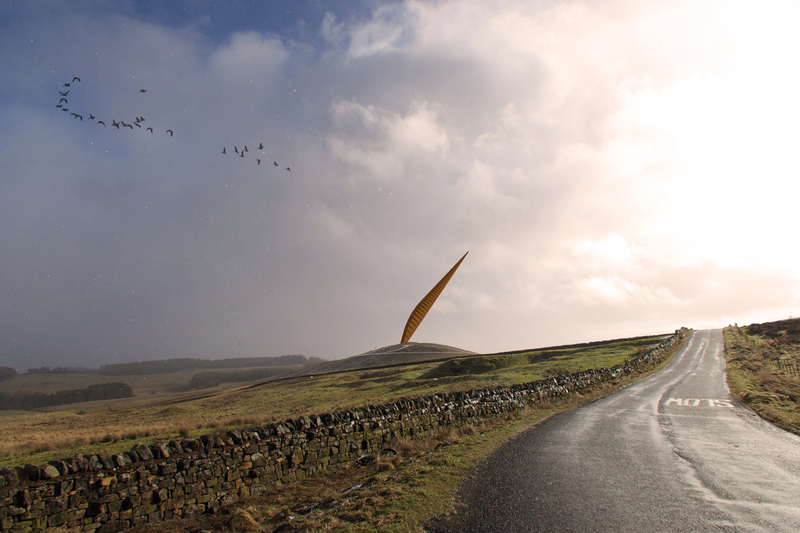 BEaM assisted artist Simon Hitchens to develop a proposal for a large scale public art piece to be sited within a national park in Northumberland. 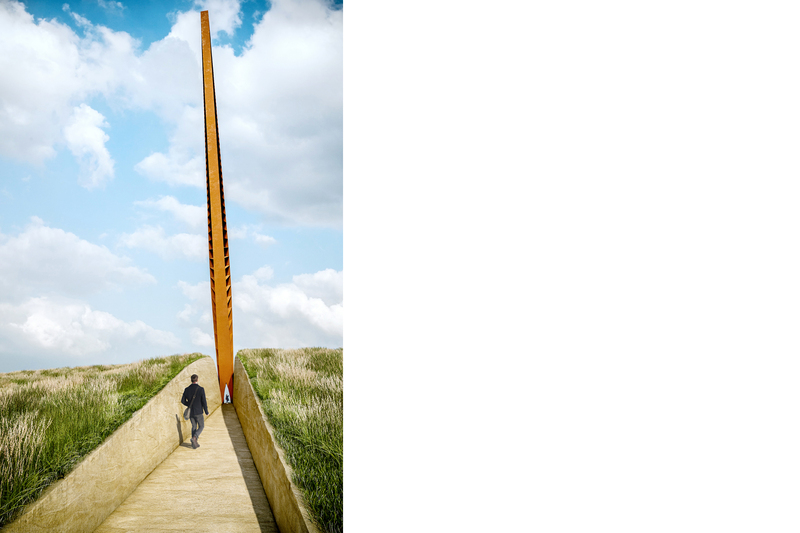 A large pylon, 80m in length and fabricated from weathering steel, is mounted in the top of a small hill. 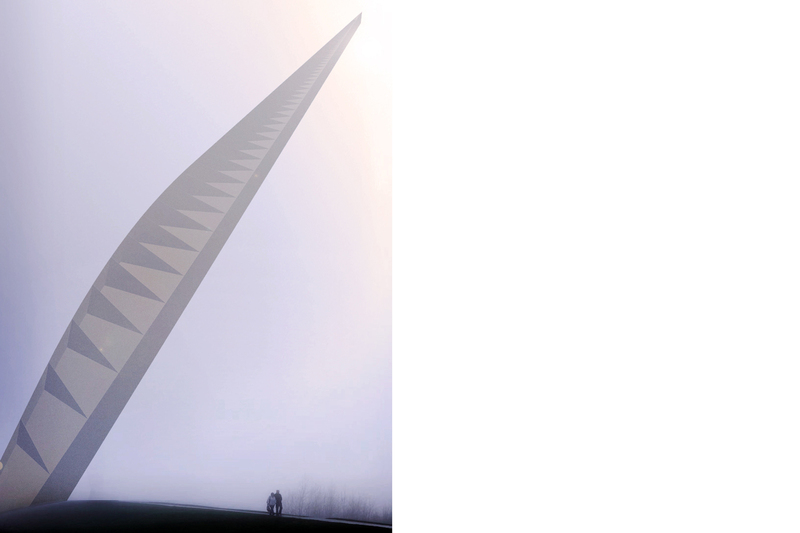 The pylon is elegantly tapered with a curvilinear silhouette which exactly matches the contours of the hill into which it is placed. The base of the pylon is held minimally at one end of a large slot cut across the top of the hill. 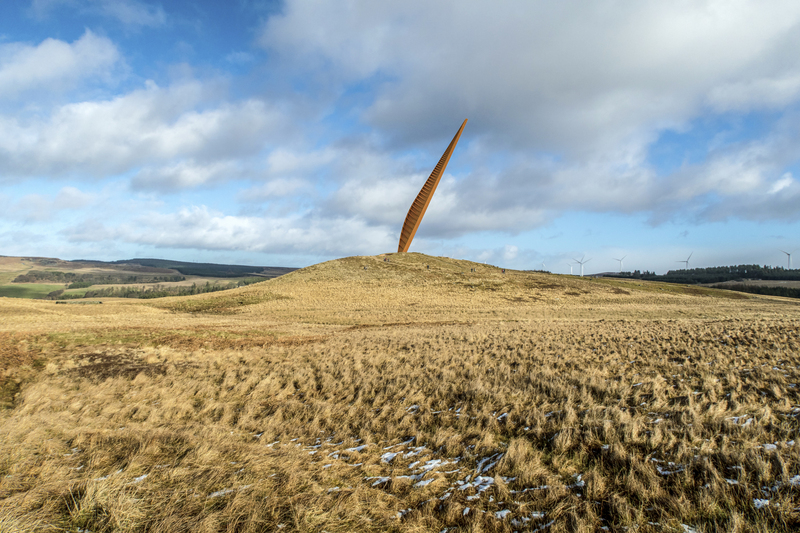 With deep battered sides, the slot in the landscape is the “negative” of the pylon form which rises 60m above it – as if a slice from the hillside itself has been rotated skyward. The result is an extraordinarily dramatic spatial encounter for visitors who are invited to explore the hillside, immerse themselves within the hill slot and experience the spectacle of the gravity-defying structure inclined precariously overhead.